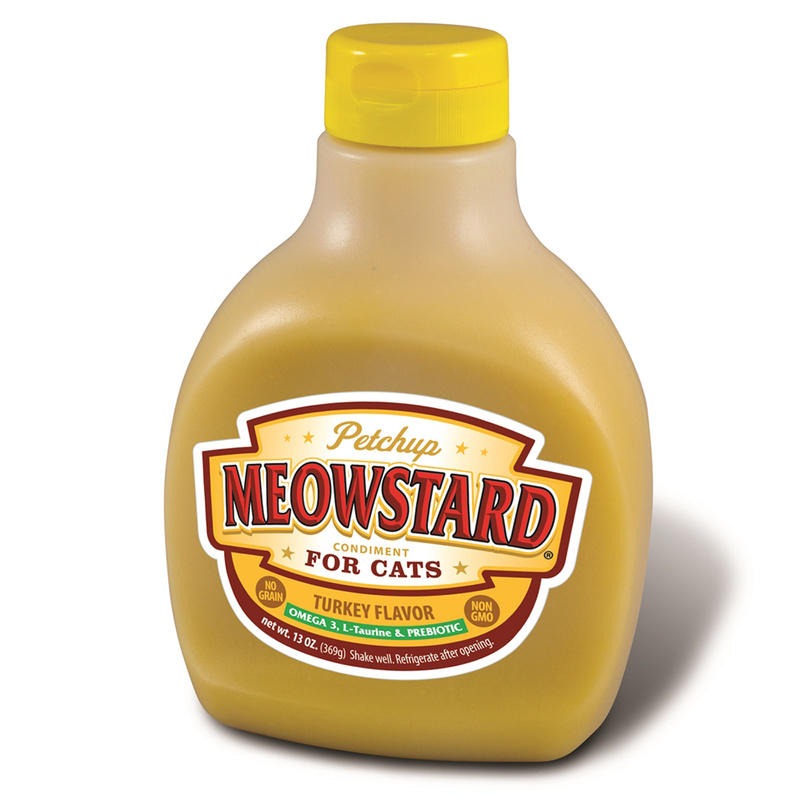 Add some savory flavor to your cats food with the nutritious Meowstard Cat Food Condiment by Petchup is Turkey Flavored! A savory blend of vitamins, minerals and delicious / nutritious ingredients to create a savory Turkey flavor. 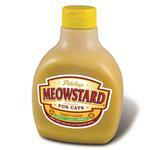 MEOWSTARD® has a nice taste which is important to kitties and has been approved by fussy felines everywhere! Humans have used condiments to make food tastier since the beginning of history. Everything from fries to burgers to dogs… umm, hot dogs that is… taste better with the zest of ketchup. Why not give your cat(s) the same benefit by adding a healthy condiment to their food? Let’s face it, if you had to eat dry kibble, you would want something to make it taste better, too. Petchup® was created to offer a flavorful addition to dry food while providing a healthy portion of vitamins, minerals, glucosamine, omega 3 and prebiotic to your pets’ daily diet. It’s a delicious daily supplement. Petchup® is made from the finest natural food-grade, nutritional ingredients available. We wouldn't want to put something in their mouth we‘re not willing to put in our own. We are committed to a holistic approach to your pets’ nutritional well-being. This assures you the best pet food condiment available. So, pour it on, stand back and watch your pet eat to the last crumb! Made in Denver, Colorado! Check out the full line of Petchup flavors for Dogs and Cats!!!! The service and quality of products is excellent. I will continue to use this company.